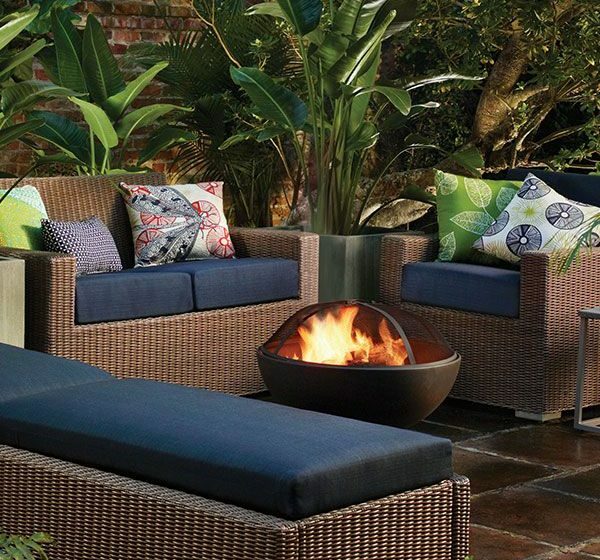 Summary: Wicker is perfect for the outdoors, but can take a beating from the weather. With some care and maintenance like regular brushing, adjusting the weave, covering it, and a touch-up paint coat, wicker furniture will last for years. Wicker is easy to care for, all you need to do is brush the furniture regularly. The most dirt and grit you find the most often it will need cleaning. When you don’t brush them, little bits of dirt and organic matter will collect and cause mold and mildew to form. Alternatively, another method to preserving the furniture is to cover them when nobody is using them. You can take it one step further and even store them away during times of extreme weather, thereby reducing the exposure to the weather. In addition to the brushing, have a look at the weave every month or so and move them back in to place. The weave moves around and gives enough time can cause the substance to stretch and fray. Painted wicker will fade and get damaged over time. A touch-up coat from a spray can keep it looking new and protect the wicker at the same time. Look at the frame, as some frames are painted and will require a touch-up coat. Written by Wicker Paradise. Complement your setup with wicker furniture sets from Wicker Paradise, providers of the finest quality wicker furniture.